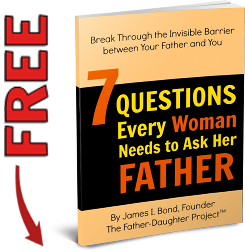 The Father-Daughter Project™ was created to help answer these questions. For more than 35 years, its founder, James I. 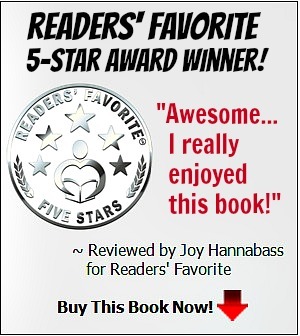 Bond, has been teaching, training and coaching a wide range of people at the world’s largest organizations on how to create the life they desire. And now this website and related resources can help you achieve the happiness and success you’ve always wanted in your life. 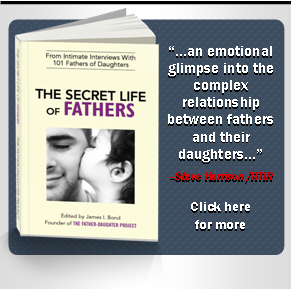 To get started, try our Social Experiment below; read our breakthrough book, The Secret Life of Fathers; and interact with us through this website and our social media. In this way, you’ll help us change lives… starting with yours!